Duct Tape is all the rage right now; especially among the teenagers in my life. But why let them have all the fun? So, today I created this gift wrap duct tape bow. It would be absolutely perfect for a tween-teenager gift, right? #1: Print out the stencil. 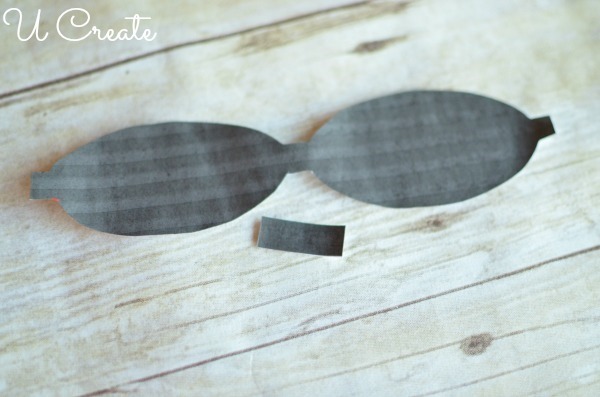 #2: Cut out the “bow” part of the stencil and the tiny rectangle piece. #3: Cut two 8 inch pieces of duct tape and tape them to each other. 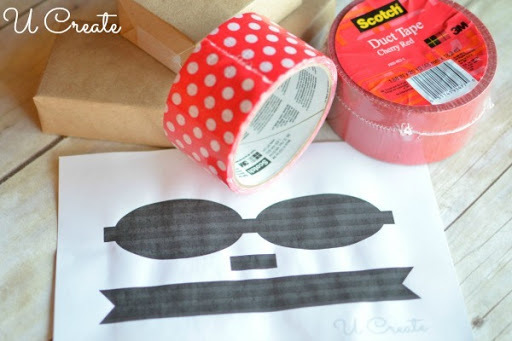 #4: Trace the “bow” stencil with a pen or marker onto the 8 inch piece. 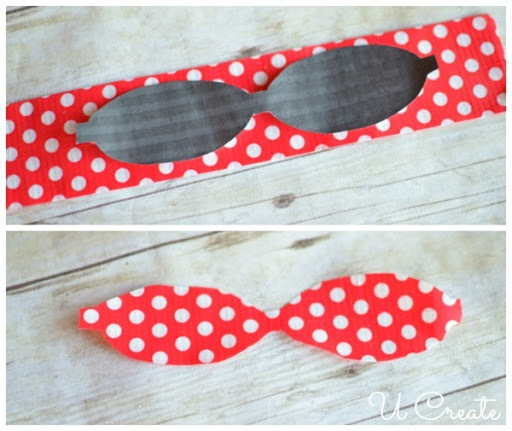 #6: Cut the tiny rectangle out of duct tape using the stencil and tape it to the edge of your table for now. 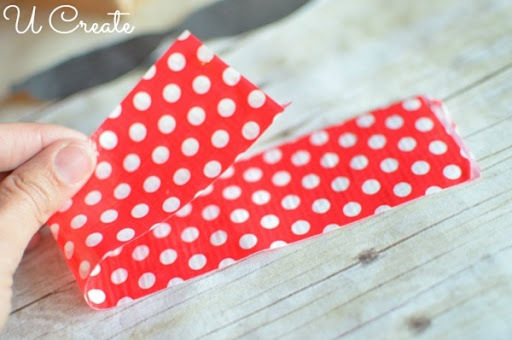 #7: Fold the ends of your “bow” into the middle. 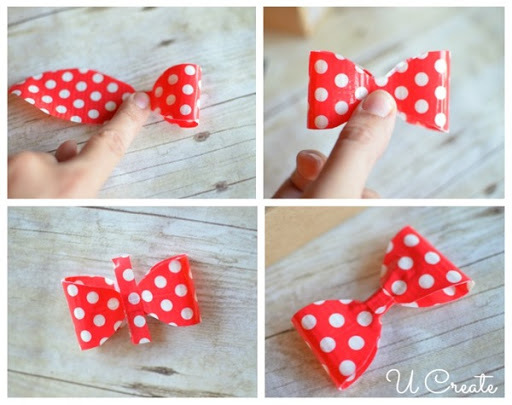 #8: Wrap the tiny rectangle around the middle of the bow. I wrapped little presents in kraft paper. 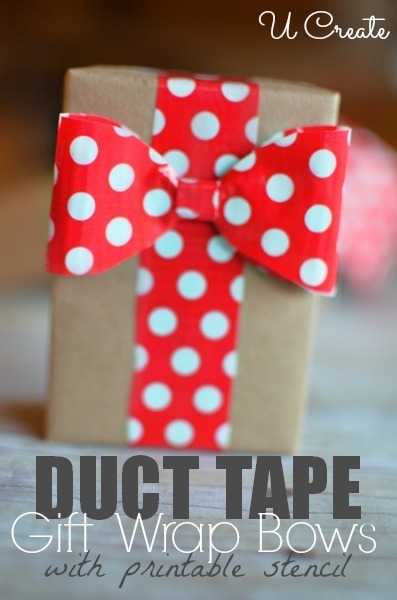 The I cut a long piece of duct tape and wrap it around the box and adhered the bow to the box with a glue dot. 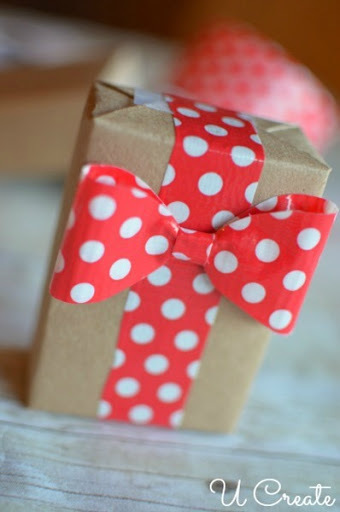 It would also be great to create a variety of boxes and bows and decorate a mantle or table with them! Previous Post: Add some sparkle to your Christmas Tree…with Spray Paint!